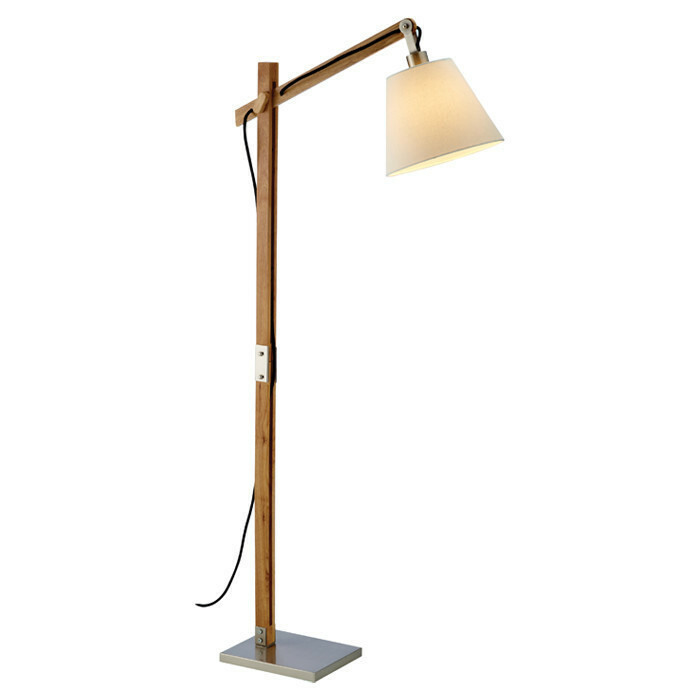 This Chestnut Floor Lamp is made of natural wood. 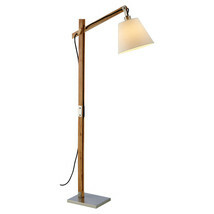 It features an off-white bell shade and has wooden pegs for adjusting shade height and angle. It also comes equipped with a three-way rotary socket switch. This lamp is perfect for any room in the house.